Read about this initiative focused on equity in early childhood and find other equity-related content. Find research-based resources, tips and ideas for families—from child development to reading, writing, music, math, and more! Learn about and purchase the best books and resources to support young children's learning and development. Stay up to date with research-based, teacher-focused articles on birth to age 8 in our award-winning, peer-reviewed journal. Discover practical tips and innovative ideas for preschool teachers in our award-winning magazine. Learn about NAEYC’s informed positions on significant issues affecting young children’s education and development. Discover the latest research, best practices, and tools at the largest gathering of early childhood educators! Ignite and fulfill your professional goals at the 2019 Institute in Long Beach, CA. Registration is now open! Join us at the members-only event and build your advocacy skills, expand your networks, and advance federal and state early childhood policy. Find a sponsorship opportunity that’s right for you and help support early childhood educators, parents, and other professionals. Deepen your professional knowledge wherever you are with NAEYC’s exciting webinar series and online and face-to-face training opportunities. 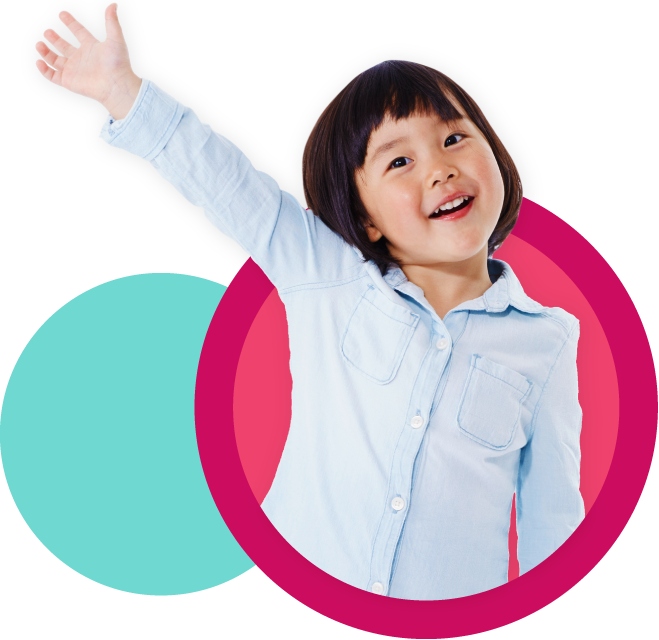 Discover the benefits of early childhood accreditation, learn about the four step process, find support and resources for your program or login to the accreditation portal. Login to the Early Learning Accreditation Portal to take charge of your accreditation process. Read about NAEYC’s leadership, mission, values and beliefs, and strategic governance. Join NAEYC’s team and help us advance the education of young children across the country. Contact us with your questions-- we're here to help! Plan your next business meeting or event at our centrally located facility. School classrooms are busy places where young children learn all sorts of things, including social and emotional skills such as how to express feelings and how to work together with friends on a project. Here are some suggestions for helping your child develop social and emotional skills at home. Puppets. Teachers sometimes talk with children about conflicts and help them think about solutions while using puppets and families can try this technique at home. Puppets are a great way to introduce children to feeling words like happy, sad, angry, and children will sometimes talk to puppets about their feelings. Puppets can also help in discussions about challenging topics, like getting to bed on time. Do a job together. Instead of asking your child to do a chore alone, do it with her. The two of you might fold laundry, set the table, rake leaves, or paint a wall. Help your child join in by shortening the handle of a broom to make it child-size or providing a small paintbrush or roller. Play games. Card and board games and outdoor games such as tag or hop-scotch offer built-in opportunities for helping children learn to take turns, cooperate, handle frustration, and more. While playing games together, focus on fun instead of winning or losing. Prevent potential problems. Before a friend comes to play, help your child put away toys he does not want to share. Before taking a bus to the zoo, provide a step-by-step explanation of what you will do: “We will wait at the bus stop for 5 minutes, then get on the bus and sit together and watch the sights go by for about 30 minutes [explain this as the length of one episode of a favorite TV show]. Then we will walk three blocks to the zoo and tour the lion house before anything else!” During the trip, remind your preschooler of what will happen next. Am I Really My Child's First Teacher? Why Do Babies Like Boxes Best? Support our efforts to secure a bright future for young children, educators, and families. Donate to help NAEYC advance a strong and dynamic early childhood profession and connect educators to cutting-edge resources. Connect with professionals in your community at conferences, networking events, advocacy efforts, leadership opportunities and more!